Elizabeth has been an adjunct faculty member at Huntington University since 2008. She is concertmaster of the university orchestra and teaches theory, aural skills, applied violin, class piano and applied piano. Elizabeth is also an active solo and duo performer. Elizabeth studied at York and Cambridge Universities, in the UK. 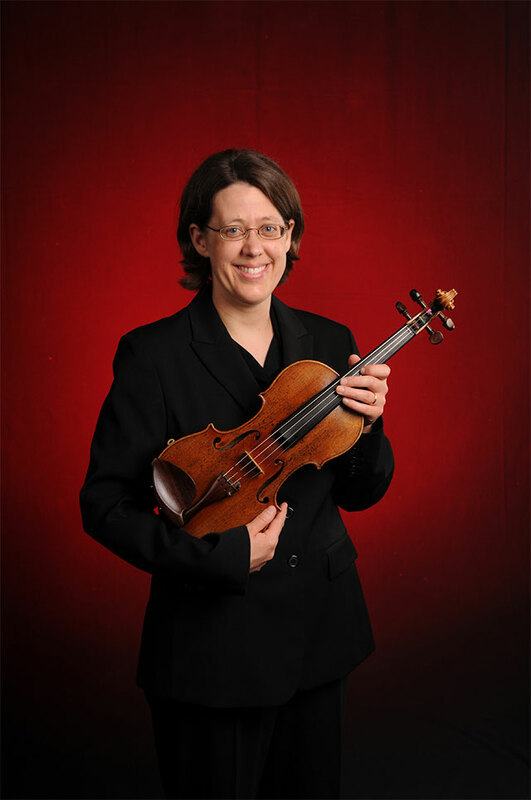 She played the violin in both university orchestras, serving as concertmaster whilst at York. She also played in Baroque and Contemporary music ensembles. Similarly, she performed regularly as a soloist and in duos (both on violin and piano), and in string quartets. She studied the violin with members of the Sorrel and Fitzwilliam quartets and attended chamber music masterclasses with the celebrated violinist and teacher Emanuel Hurwitz. Elizabeth then moved to Norwich, England, where she taught for ten years and performed regularly as a violinist in the Academy of St. Thomas orchestra. She also directed a childrens’ string orchestra for seven years.